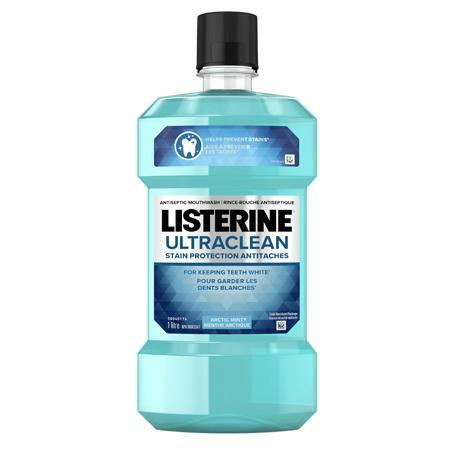 LISTERINE ULTRACLEAN® STAIN PROTECTION Antiseptic Mouthwash is rated 4.8 out of 5 by 294. You can sometimes hide a stain on your shirt. But on your teeth? Not so much. Fortunately, you can enjoy that coffee or glass of wine with LISTERINE ULTRACLEAN® STAIN PROTECTION Antiseptic Mouthwash. 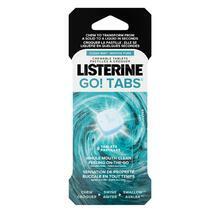 It helps prevent stains by fighting the tartar buildup that discolours teeth. Adults and children 12 years and older: Brush with your regular toothpaste for 1 minute, rinse with water then rinse full strength with 20 mL for 30 seconds twice a day. DO NOT SWALLOW. Rated 5 out of 5 by Jenny0105 from My mouth has never felt cleaner! By far the best! I am so happy I bought this product, almost instantly I noticed a difference. 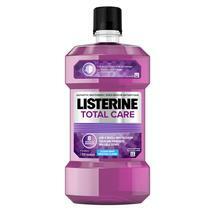 This is by far the best mouthwash out there! Rated 5 out of 5 by tomotomo3 from Removes Stains I found that this product is excellent at removing stains. Rated 5 out of 5 by Shelly from Its REFRESHING! Its a great way to finish off your morning brushing! Rated 5 out of 5 by DJB4 from Best product ever! 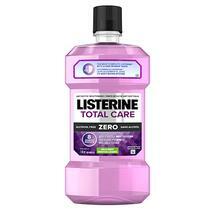 When speaking to my hygienist she recommended using Listerine. I have used it and have no cavities at my last visit and find this product to be helpful in keeping my teeth white with a clean feeling! Rated 5 out of 5 by Sue966 from Fresh and clean Does a great job at refreshing after brushing that lasts. The whitening helps keep stains away.